The book consists of 50 ethereal poems that unifies the dream of two lovers who embark on a virtual world of fantasies related to a world of gods where you drink the holy grail of the source of living water that is love. A journey through the galaxies where a point connecting the other side of the spectrum creating a deep spiritual connection. And each poem leads to a passage of poetry and pure love, almost platonic. A love without beginning and without end; eternal. 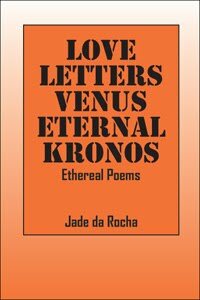 The writer Jade da Rocha said "Throughout my life and at every opportunity, I express and believe that through love we can create a perfect world: " Let love iluminate the passage, break the mold and create a perfect world." in one of her quotes on twitter. She continues: And so, I wonder, how is it possible to love a person you don't know without restrictions knowing the risk of danger of the outcome!? And with this concept of the unknown opens its doors for the the universe to guide this feeling that I can not explain, places they traveled without ever having gone. During this period, I have achieved something that a few in real world only dream, universal love. I believe that every time the heart opens and let the love come in, we can change the world bringing light to the heart and life to the eternal soul ... Eternal experience! After the book published what happens? Jade da Rocha responds with a laugh: "The dream continues, only that you're not in it." good friends, good colleagues, eternal love. My childrem Patrick and Rebecca, my pearls, my angels. Bio: International Brazilian writer, columnist, poet, journalist, public relations and international correspondent PluS Social media &apprentice of life!!! Surviving in a world thirst to swallow the soul is relentless battle leaves us bitterness, sorrows, frustrations, complaints.Because of you, comrades of the day to day, I managed to dible negative waves and live in a world of love and magic. Today, I have a heart full of love, as a file that needs to update daily,since everything that is exceeded, generates conflict. Love is not ashamed, not rejects. Love grows, innovate, create. Love changes, touches noble sentiments. Lay the seed of life within ourselves. Today, I am here to talk about love, to live love to share this intrinsic energy that is love ...... universal love!